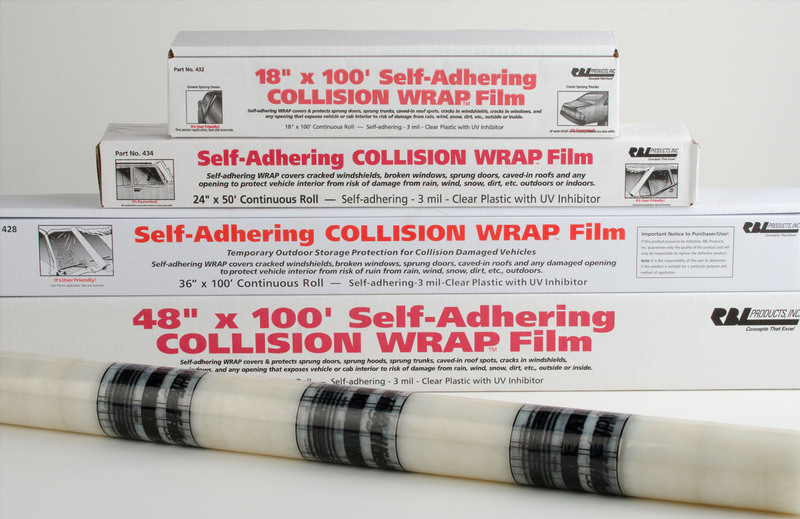 Self-adhering WRAP covers cracked windshields, broken windows, sprung doors, caved-in roofs and any opening to protect vehicle interior from risk of damage from rain, wind, snow, dirt, etc., outdoors or indoors. Immediate protection anywhere a vehicle is temporarily stored and vehicle interior is exposed to risk of damage from wind, rain, dirt, etc., outdoors or indoors! For use on vehicle exterior surfaces only.